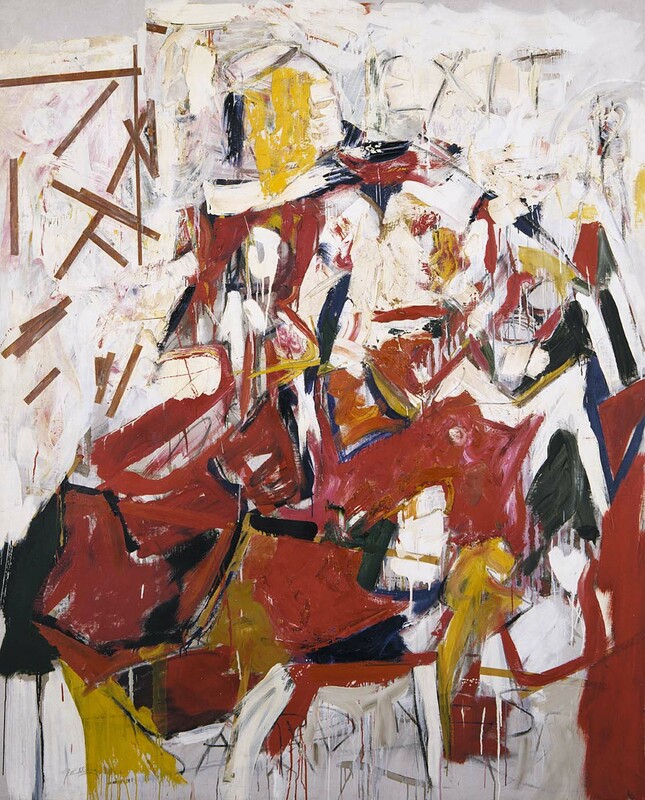 The painting starts with a thing (“It needed something there”— says the painter; something = some thing) and transforms into an abstraction, because the thing was “too much”. The painter starts with the image of a thing and transforms it into colour because the thing “was too much”; the poet starts with the idea of colour and transforms into words, because “there should be so much more, not of orange, of words, of how terrible orange is and life”. Orange is never enough for a poet, sardines are too much for a painter. Is this the answer to the initial question? In a sense, yes, but not quite. The poem is more complex than that, and the complexity resides in how these two little stories fit together. Both stories — the one about the painter, and the one about the poet — are written (mostly) in the characteristic, and overly simplistic, “I do this, I do that” style, in a mixture of simple present and continuous present tenses. This makes it seem as though the second story followed the first in the real-life unfolding of the events. But this is not really the case: the poem, “Oranges”, was written in 1949, and the painting, “Sardines”, was painted in 1955. But there is a connection — beyond the mere contrast of cognitive processes; it might be invisible in the poem, but it’s obvious once you see the painting. This painting’s colour harmony is orange-y: mix all its colours together, and you’ll end up with orange. It is this colour that connects the first story to the second, as though it’s Goldberg’s painting that inspired O’Hara’s thinking about orange. Not in the realm of real time-space (where it might well have been the other way round), but in the internal logic of the poem itself: after all, O’Hara could have chosen any of his poems to compare the processes. I believe it’s the colour: orange that led him to recall this particular one (or rather a series of twelve, as it happens). And this creates a kind of semantic circle, which belies the overt simplicity of this poem’s structure: the painting follows the poem in “real life”, but invokes it within the logic of this poem. And there is another circular movement which replaces the logical, narrative one. 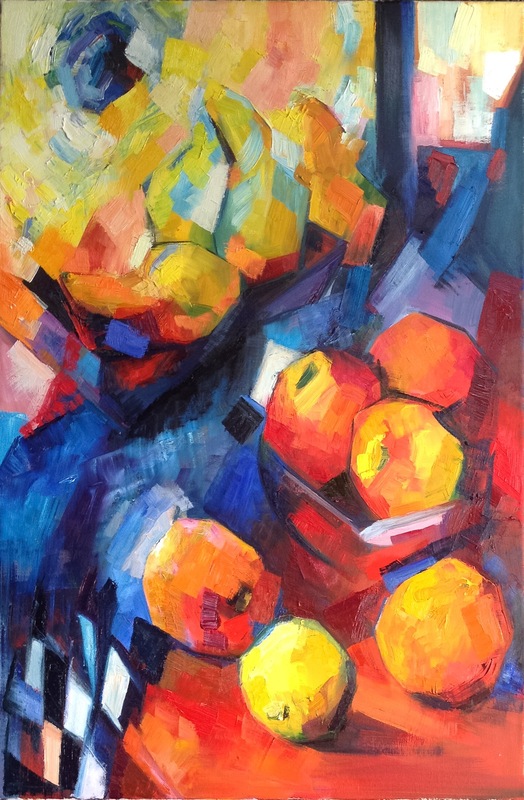 This is not mentioned in the poem, but the second story, the story of “Oranges” has a real-life painting-related sequel: in 1952, another painter friend of O’Hara’s, Grace Hartigan, painted a corresponding series, also entitled “Oranges”, incorporating O’Hara’s words into the paintings. So there was a painting process directly inspired by the poem. 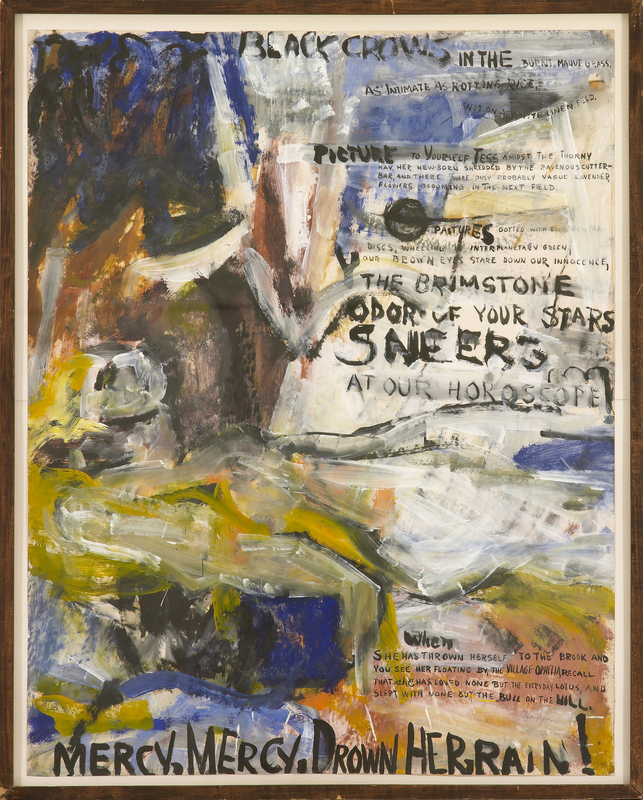 But the poem ends quite differently, with O’Hara seeing Goldberg’s painting in a gallery. It is entitled “Sardines”, even though there are no more sardines in it, just like the poem is called “Oranges”, in spite of having no oranges in it. Both the poet and the painter retained the original “source” of the work in the title, even though it had as well as disappeared in the process. The poem circles back to where it started — to disappearing sardines, and concludes itself with a similarity between two processes, not with the contrast which might explain why the poet is not a painter. Instead, the two processes emerge almost as two sides of the same one, two different views of the same phenomenon.